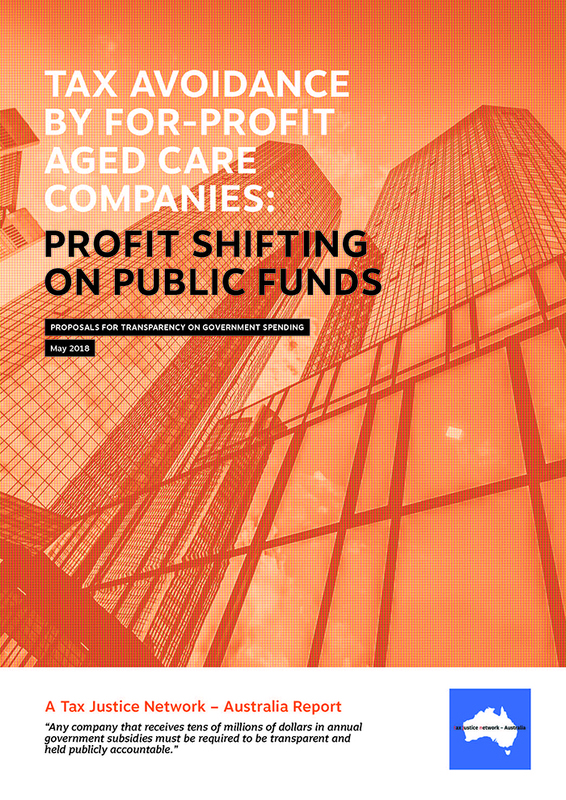 The report examining tax avoidance in the rapidly-growing aged care sector was prepared by Jason Ward from the Tax Justice Network, on behalf of the ANMF. Australia’s top six aged care providers, some with foreign ownership, posted enormous profits whilst taking advantage of AUD $2.17 billion in Australian taxpayer funded subsidies, using various loopholes, corporate structures and discretionary trusts to avoid paying their fair share of tax. 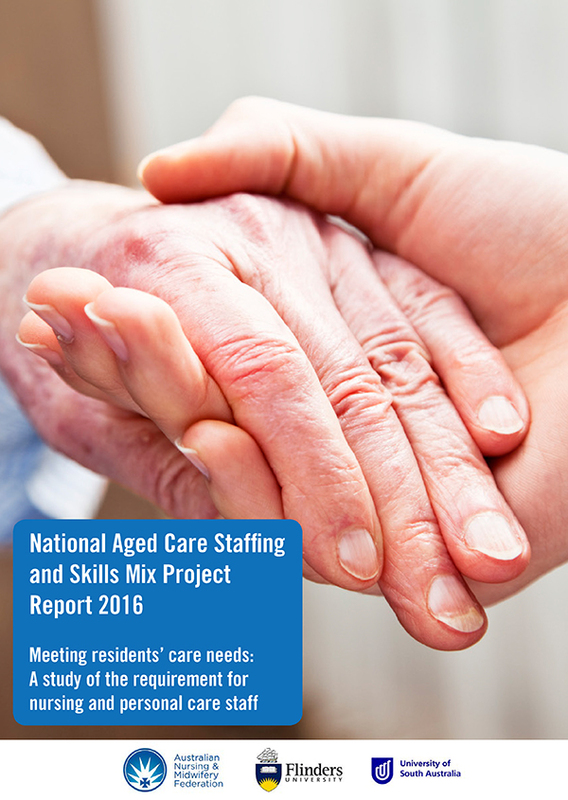 The Australian Nursing and Midwifery Federation (ANMF) has released the National Aged Care Staffing and Skills Mix Project report. The project is the first of its kind in Australia and has collected evidence relating to the need for a staffing methodology that considers both staffing levels (the right number) and skills mix (the right qualification) for residential aged care. Over the last decade Australian Nursing and Midwifery Federation (ANMF) members have been campaigning for improvements in aged care with increasing intensity in an attempt to ensure quality care for residents and decent conditions for those working in aged care. But despite multiple reviews, inquiries and investigations no real improvements have been forthcoming. After the Government proposed more cuts, as part of the If you don’t care, we can’t care Federal Election campaign we ran a survey which explored how the funding cuts are, or would, impact the delivery of care in residential care facilities across the States and Territories, with the aim of gathering information to place aged care as a key election issue and gain the attention of voters, and thus, politicians. 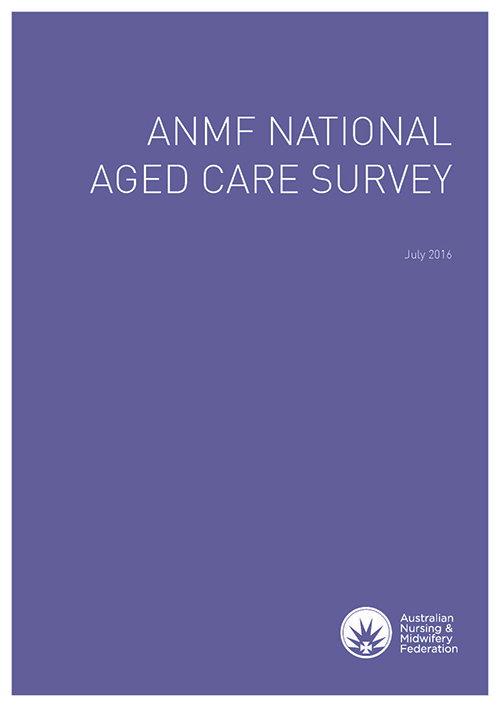 The overwhelming theme to emerge from both the aged care worker and community group responses to the ANMF’s aged care survey was the participants’ belief that the elderly deserve much better care than they are currently receiving. What do your penalty rates mean to you? 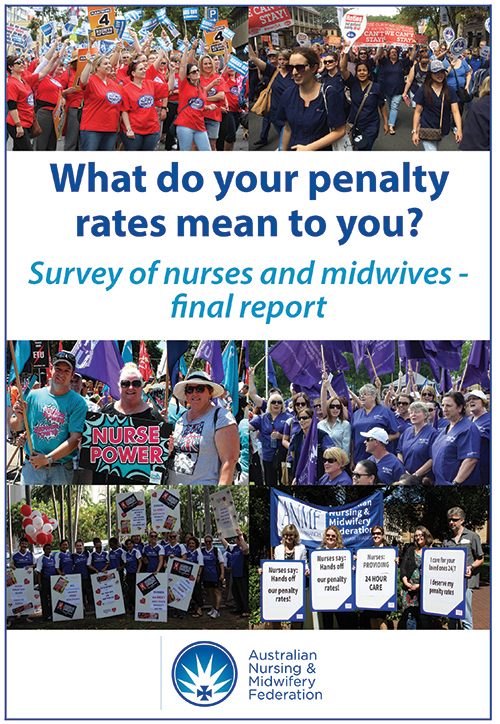 The ANMF conducted a survey of members investigating what penalty rates mean to them, the level of compensation penalty rates provide for working shift work and how shift work affects the lives of nurses and midwives.